When we play Dungeons and Dragons, we are often making stories in a collaborative and improvised yet structured environment. Everyone around the table has a vested interest in enabling everyone else’s fun and producing, as a final result, a memorable sequence of events with which to bore game-store clerks and non-gamer friends for years to come. Sometimes, though, what we really want to do is crush a bunch of PCs, hear the lamentations of their players and see them driven from the table. 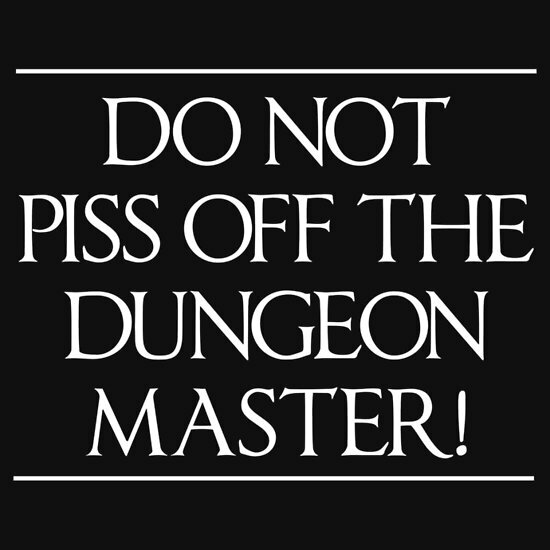 In most role-playing circles and under most circumstances, what is often referred to as “Adversarial Dungeon Mastering” is considered badwrongfun at best and Epic Level Assholery at worst. The reasons are understandable: in any traditional RPG, like D&D, there is an immense power balance between the players (and their puny characters) and the DM (and his mountains of damage dice). A DM can kill every player character on a whim. The thing is, that is not fun for anyone — not even the DM. Sure, the first few times it is a blast as the players’ eyes widen with disbelief and tears begin to well up as the true existential horror of their meaningless fate dawns upon them. Unfortunately, sorrow usually turns to rage and the DM finds himself using his game screen to dodge high velocity dice. RPGs are about agency above all and while there is some potential for value in an examination of the cruelty of an uncaring universe, most of the time maintaining that agency even in the face of certain doom is what keeps players coming back to the table. There is a way to be both a Good DM and a Killer DM simultaneously and it hinges around that idea of Agency. Coupling Agency with an acknowledgement of the inherent power dynamic on either side of the screen and an honest attempt at using the rules of the game to establish some level of fairness, this concept of “Adversarial Play” can be successful and fun for everyone at the table. As stated, above all else the players must have Agency. This is more than simply control over their individual characters. Agency is the ability to make meaningful choices at all levels of game play, from in-world actions to table level interactions. Meaningful choices arise from the relationship between information and options. To put it more plainly, to have Agency players must know what the situation is and what their options in that situation are. 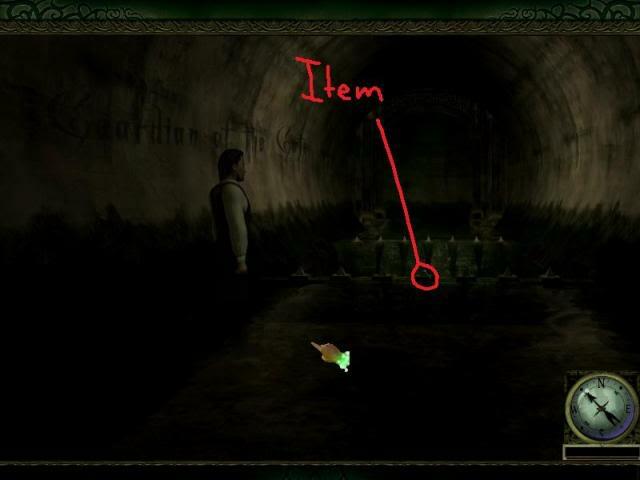 Note: In the above example, failure by the player to indicate that she is checking first for traps is a mistake. Bombs away! In short, Adversarial Play depends on fairness and restricting player Agency by limiting information flow is essentially cheating. Many Dungeon Masters employ the game screen to enhance uncertainty in the players (classic example: you search for traps and your DM rolls behind the screen and then tells you that you found no traps; did you fail or are there no traps?) In typical, non-Adversarial play, this is a fine practive. Unfortunately, though, in Adversarial Play die rolls made behind the screen undermine the trust that is essential for success. 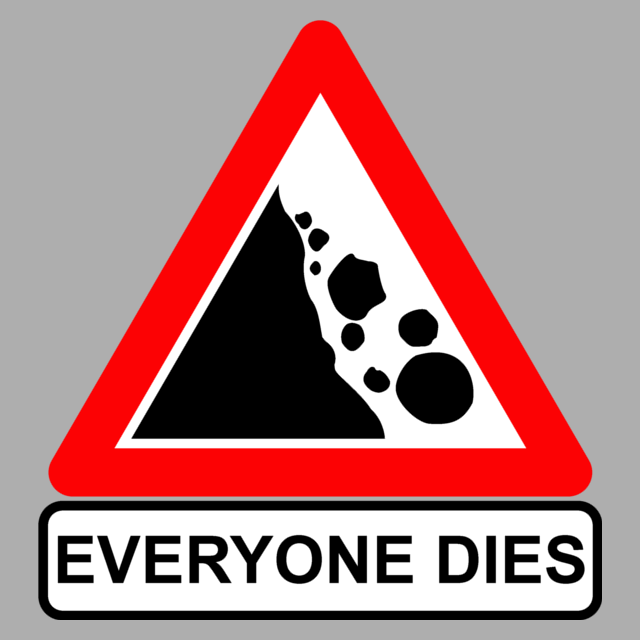 All die rolls, for the DM and players alike, should be made in the open for all to see and players should make their own rolls. The DM does not necessarily need to explicitly state the difficulty of a roll — the monster’s AC or the DC of a saving throw, for example — and in fact some game mechanics are dependent upon players making choices before the result of a roll is declared. 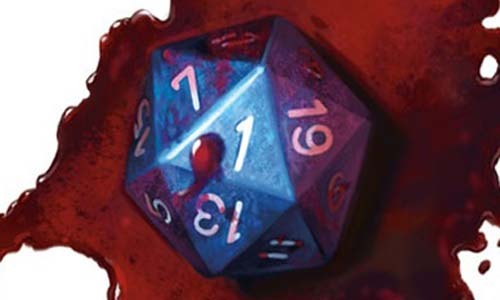 A necessary corollary to this rule is that the DM does not adjust enemy stats or difficulties during play, which is essentially changing die roll results in reverse. For good or ill, let the dice fall where they may and adjudicate the results. Whatever rules are being used for the game need to be acknowledged and understood by everyone — both official rules and campaign/house specific rules. This includes rule interpretations for areas that can get “fuzzy” (like 5th Edition rules on stealth and hiding) and the occasional weird interactions and synergies between rules. 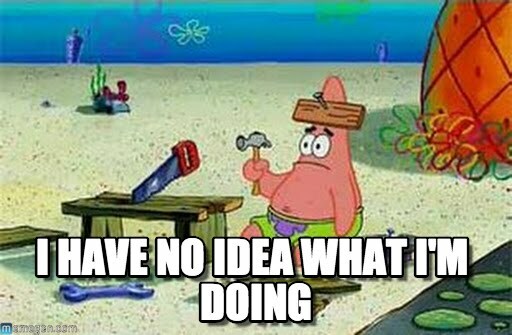 Remember that rules are the purview of the DM and the DM is the final arbiter of any rules questions or disputes, but players also use the rules as part of their Agency. This is not merely a right but a responsibility: players need to know how their character works, including class abilities and spells and items, etc… It is usually worth a minute or two to look up a rule in play when there is a question, but no more than that. In these instances, the DM must make a ruling and move on — and be consistent with that ruling until time can be taken to determine the actual, official rule (if it exists). Good Adversarial Play is an advanced form of play due to its competitive nature. It can be frustrating and difficult for players if the DM is not familiar with the rules. On the other side of the screen, the DM can have a tough time seeming fair when confronted with a group of inexperienced players who might not appreciate being eviscerated because they weren’t sure how the grapple rules worked. An experienced DM and a few experienced players can usually ensure one or two inexperienced players contribute and have a good time, but if the balance is too far toward inexperience the game tends to fall apart. At its most basic level, Adversarial Play is a competition between players and the DM. As with any competition, there must be a point at which the competition is over and a victor is declared. “No one wins in D&D,” has been a feature of the game since its inception (alternatively, “Everyone wins in D&D.”) but it really is not true. What that statement actually means is that D&D is not Risk or Monopoly in which it is picked up, played and one person won while the rest lost. 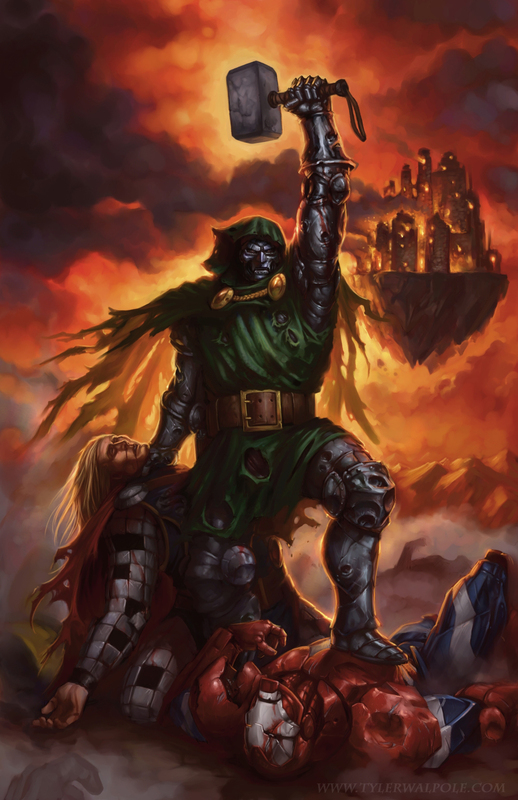 D&D has always had moments of triumph and failure within the context of play — you killed the monster, you lost the girl, etc… Adversarial play is not much different, but it does bring those moments into sharper focus. For the DM, victory comes when the players fail. While it might be entertaining to consider a scenario in which the DM wins when all the player characters are dead, it doesn’t hold up to scrutiny. As stated above, it is trivially easy for a DM to kill every character. Even if the DM restricts himself in order to make such a goal “fair” the players are still thrown into the defensive position and it becomes a game of seeing how long they can hold out against an overwhelming force. This may be potentially entertaining, but not more than once. Instead, victory conditions should be established for the players and their characters. 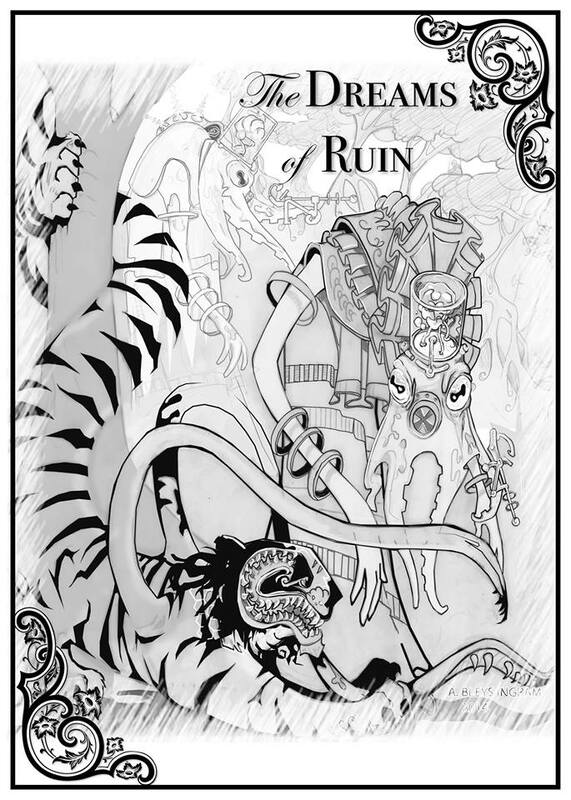 With a goal to strive for — kill the dragon, recover the MacGuffin, save the prince — the players control the flow of the game and are forced to overcome the obstacles in their path. This goal should be explicit even if the method of achieving the goal is not. Like most good games of D&D, an Adversarial Play adventure should provide players with a lot of freedom in determining how to achieve their goal and creativity should be rewarded. That said, remember as the DM your job is still to stymie, drive off or even destroy the player characters. Every step on their path to victory should be fraught with peril, from trap laden corridors to monster haunted chambers and strange magic tricks everywhere in between. 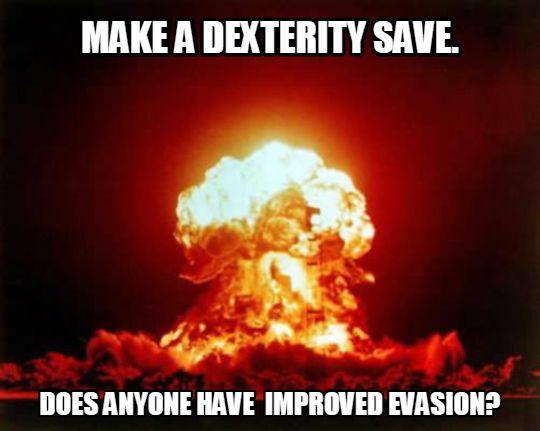 Make them work for it, and when they fight to long or the dice fail them and a PC goes down screaming while being torn apart by rabid mutant kobolds, enjoy your moment and cackle maniacally.